When I first got exposed to the mainframe world, I knew very little about it. Actually, what came to my mind at the thought of it could be summarized into 23 characters “a computer on steroids”. At the time, I was studying windows servers and this spurred my interest to seek more information about mainframes. I vividly remember stumbling upon an article that described the mainframe hardware and the reduced power consumption. It also highlighted some of the merits of the hardware in reducing physical data center space and cooling requirements. In my mind, I could relate well because I am a strong advocate for energy conservation. Furthermore, mainframes are mature (“just like fine wine”), reliable, flexible, secure, and the most function-rich platforms on the planet. April 2015 was a memorable month for me since this is the time I got a chance to register for Master the Mainframe competition. At the time, I had just graduated and in order to get top prizes during the competition, you had to be a current student. Nonetheless, I still decided to register for the competition to represent my Alma mater (USIU-Africa) and most importantly learn about the mainframe practically especially now that I had a bit of knowledge about it. I was eager to know what the most stable operating system looks like. Was it double click then click next, then finish? What was it all about? Those were some of the questions that ran through my mind. I knew I would finally get the answers to my questions when I got my approval mail from the IBM Academic Initiative with my user ID and password to participate. I immediately downloaded the required software Vista TN3270 and Putty which I connected remotely on a dedicated Z/VM that was running Z/OS for the contest. At this point, I could never have been happier in my life. I immediately served myself a huge mug of coffee and as I sipped it, I couldn’t help but imagine the kind of experience I was going to have at the contest. I had logged into the mainframe remotely, the machine that runs a huge chunk of the world’s economy. The machine that makes ATM interaction possible, the machine that makes booking a flight easy, the machine that runs governments and the most critical data in the world. It also came to my attention that there were many Graphical User Interfaces available for z Systems as well. But I was more than okay with the blue green characters on the black screen. Master the Mainframe competition challenges are normally divided into 3 stages. The higher you go the more coffee you need. It’s tough but very interesting. I got to learn how the mainframe executes jobs in batch and real time. I also learnt about how to run a job in the manner that you want it and when you want it. How you sort data using a simple sort utility without a sweat. 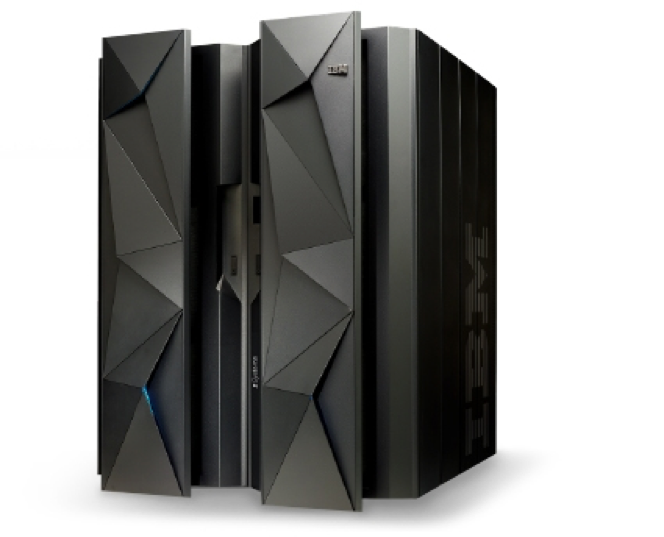 Basically, everything that any other machine can do mainframe can do better. There is always something that does what a mainframe operator wants or close to what they want to do in their daily tasks. Datasets commonly known as folders or directories in other operating systems are highly organized. In addition, I found out that the mainframe was designed to accommodate past technology, new technology and future technology. In fact z Systems have undergone countless design changes over the years, and in my informed opinion this will keep going on. This kind of knowledge got me interested and passionate to know more and as a result, I was winning in every challenge. When I got to stage 3(part 3), I got stuck a couple times maybe more than a couple of times. Students could at least discuss in school with professors or in group discussions. As for me I wasn’t in school so I was more like an island with no one to discuss with. However, I was one of the top placed student in Middle East Africa (MEA) region. Before long, I was making headlines in the Alumni Bulletin which generated interest among the students and they actually started paying attention to the mainframe. (ED: check out our man far left) After the contest was over, there was no doubt in my mind that I wanted to work with the mainframe. Unfortunately, most organization that have mainframes in Africa are supported from outside the continent. Nevertheless this will not quench the urge I have to delve into the world of mainframes. I will follow through until I become a competent mainframe administrator or even solution developer. When the mainframe competition 2016/2017 was announced, I was ready to participate in it but unfortunately, it was not open for the MEA (Middle East and Africa) region, so I decided to enroll in the mainframe learning system platform. This is because I wanted to put the skills I have into test and also gain new skills. Besides, there are badges to be earned that showcase your skills. I have already earned one badge (the explorer badge) and I am looking forward to earn the final one which is the most difficult to acquire. So far, having interacted with the mainframe, I can say that it has been a worthwhile experience. If you are in the computing world and haven’t interacted with the mainframe then you haven’t lived yet. Editors Note: Dennis Munguti approached me to post a blog about his experience with the mainframe and the Master the Mainframe contest, I am so glad I agreed. Hearing his passion for the platform come through in the post above is evident. I suggest you engage with Dennis on Twitter at @munguti_dennis and for those local employers looking for mainframe skills and passion look no further.